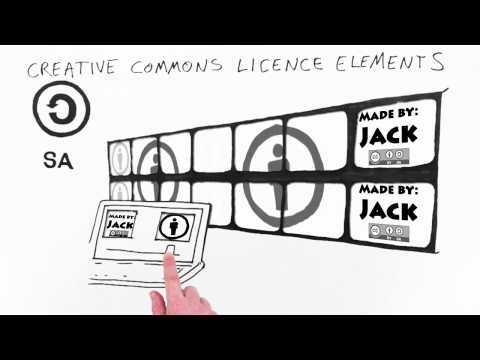 Watch this 5-minute video, "Creative Commons Licenses Explained," for an introduction to the basics Creative Commons Licenses and how to use them. Creative Commons (CC) is an example of an open license that authors may choose to apply to their copyrighted works. Creative Commons has a strong global following and has become a significant force in transforming the way creators think about sharing their work. CC-licensed works promote a culture based on values of sharing. If you are looking for images or music for your online class or any type of media you are creating for your instructional materials, consider using CC-licensed content. Doing so removes the need to consider the use of every single image within the "four factors" of Fair Use. It also begins to promote a wider understanding among our students about what Creative Commons is, why it is important, and how to work within its parameters. When you attempt to "read" a CC license, you will see the inclusion of visual icons. The first one is the CC icon, which simply stands for Creative Commons. The second icon is a silhouette of a figure, which is the "Attribution" icon, also referred to as "BY." CC-BY are standard icons included in every CC-license. The icons that follow these will vary and will diversify how the work may be re-used. Therefore, reusing CC-licensed work requires you to be able to decode these visual icons so you understand what you can and can't do with the work. 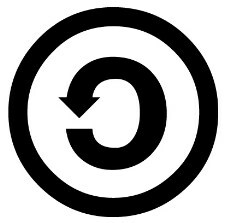 When you see this symbol, it means you must acknowledge the author/source of the work in your re-use. This is a necessary requirement of all the CC licenses. If this symbol is included in the license, it means you may only re-use the work for non-commercial purposes. 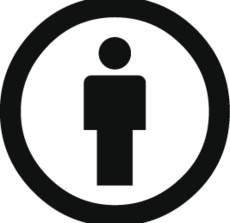 This symbol means you may remix, transform, or build upon the material only if you distribute your contributions under the same license as the original work. 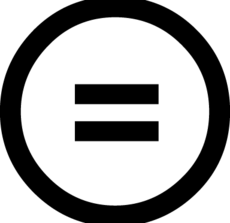 Creating "derivatives" is not allowed (if you re-use an image with this icon, for example, you would not be permitted to change it from color to black-and-white or crop the image). Below is a list of the different license types you will find when searching for CC-licensed content. The right column provides a brief explanation of the permissions associated with license. Click the link for full details. This license lets others distribute, remix, tweak, and build upon a work, even commercially, as long as they credit the original author/source . This is the most accommodating of licenses offered. Recommended for maximum dissemination and use of licensed materials. This license lets others remix, tweak, and build upon a work even for commercial purposes, as long as they credit the author/source and license the new creations under the identical terms. This license is often compared to “copyleft” free and open source software licenses. All new works based on works with this license will carry the same license, so any derivatives will also allow commercial use. This is the license used by Wikipedia, and is recommended for materials that would benefit from incorporating content from Wikipedia and similarly licensed projects. This license allows for redistribution, commercial and non-commercial, as long as it is passed along unchanged and in whole, with credit to the author/creator. This license lets others remix, tweak, and build upon a work non-commercially, and although the new works must also acknowledge the author/creator and be non-commercial, they don’t have to license the derivative works on the same terms. This license lets others remix, tweak, and build upon a work non-commercially, as long as the author/creator is credited and licenses the new creations under the identical terms. This license is the most restrictive of the six main licenses, only allowing others to download a work and share it with others as long as the author/creator is credited, but they can’t change the work in any way or use it commercially. The Public Domain Mark (CC-0 ) enables works that are no longer restricted by copyright to be marked as such in a standard and simple way, making them easily discoverable and available to others. The Public Domain Mark operates as a tag or a label, allowing educational institutions as well as others with such knowledge to communicate that a work is no longer restricted by copyright and can be freely used by others. The mark can also be an important source of information, allowing others to verify a work’s copyright status and learn more about the work. The sites below contain beautiful, high resolution images shared in the public domain (CC-0). You may download an re-use these images without attribution. Creative Commons has developed a user-friendly tool to help you select the right CC-license for your work. Help me choose my license! Many communities have emerged that facilitate the sharing of CC-licensed works. To explore some of these communities, click the button below. Help me find CC-licensed works! 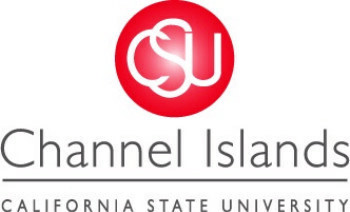 Digital Copyright Basics by TLI at CSU Channel Islands is licensed under a Creative Commons Attribution-ShareAlike 4.0 International License.